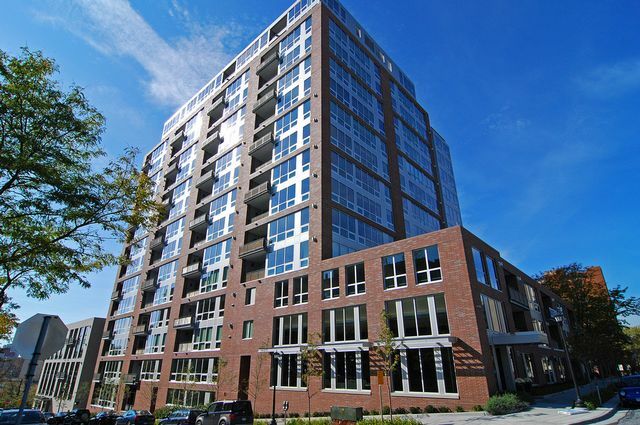 Phoenix on the River is an upscale condo development in NE Minneapolis neighborhood. Built in 2008, the high-end building offers some of best views in the city. The Stone Arch Bridge, Mississippi River, and the Minneapolis skyline are all visible from various points in the building. The modern styling of Phoenix on the River is reminiscent of a building on the Upper East Side of Manhattan. Some of the wonderful features include sprawling 9 ft. ceilings, hardwood flooring, ceramic tile floors, and granite counter tops. Scroll down to see all Phoenix on the River condos for sale in Northeast Minneapolis below. Would you like to read more? Learn more about building and neighborhood amenities at Phoenix on the River. Looking to live at the Phoenix on the River but not finding what you are looking for? Inquire about our 'off MLS' Minneapolis Condo and Loft pocket listings. 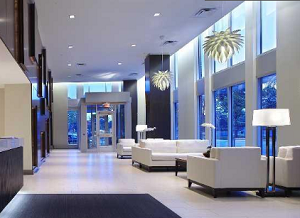 Phoenix on the River condos pairs a 19th century exterior with some fantastic contemporary finishes. The 80 generous units range in size from 1,255 to 6,970 square feet, and come equipped with energy efficient windows, private balconies, and gourmet kitchens. Two-story penthouses on the top floor enjoy panoramic views, as well as private elevator access. 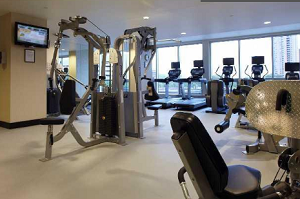 The shared amenities include a 6th floor rooftop terrace, a modern fitness center, and ground floor access to Lund's grocery stores. Throw in a prime riverfront location, and it's no wonder why this chic building is so popular. Residents of Phoenix on the River live in a vibrant urban neighborhood in northeast Minneapolis. With quick access to parks, restaurants, and entertainment options. Nearby shopping includes a Lunds grocery store, trendy boutiques along East Hennepin Ave, and department stores. 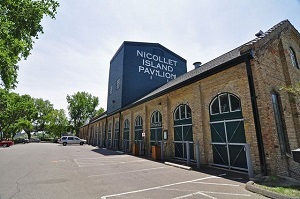 Other notable attractions like Nicollet Island, Stone Arch Bridge, historic Main St., and Gold Medal Park. Phoenix on the River is also few minutes from the University of Minnesota. The area is very walkable, and most errands are within a few blocks on foot, making this an ideal home for students, and working professionals alike. Parks: Mill Ruins Park, Gold Medal Park, Xcel Energy Water Power Park, Marcy Park, Chute Square, Marcy-Holmes Neighborhood Gateway, Minneapolis Sculpture Garden. Restaurants: Vic's Restaurant, Pracna on Main, Wilde Roast Cafe, Eat Fleet Corporation, Les Bouchons, Alma, Ginger Hop Restaurant, The Butcher Block, Masu Sushi & Robata,Kramarczuk's Sausage Company, Inc.
Shopping: Lund's, Surdyk's Liquor & Cheese Shop, Key North Boutique, Baltic Imports, Parc Boutique, Marshalls, Macy's, Saks Fifth Avenue OFF 5th, Target, Gaviidae Common. Do you own a Phoenix on the River condo and thinking about selling? Let me assess your condos value and get you a price quote. Fill out my condo sellers form and our team of Minneapolis condo experts at Downtown Resource Group will get back to you with more information on the recent sales activity in your building as well as provide you a marketing plan and general market assessment.